Who doesn't love summer to feast on the juicy and aromatic the watermelon, the incredible taste of which is familiar from childhood? This large berry is of the Cucurbitaceae family was brought to our latitude from South Africa and is now grown by many farmers. However, some of the most delicious watermelons are considered to be varieties cultivated in the Krasnodar region. Krasnodar farmers grow delicious watermelons with the right technology. The berries make a vaccine, which enhances the growth of cultivars and hybrids, with a powerful enough development, and also protects crops from various root diseases and Fusarium. Grafted watermelon in the aging process does not require nitrogen fertilization, and with good care the fruit notes decreased nitrate content and increased sugar content. The most valuable and tasty part of the watermelon is its flesh, which contains a variety of vitamins and other essential micronutrients. In the Krasnodar farm uses modern methods of stock – so it Krasnodar farmers first used rootstock F1 Emphasis. This method has been very successful: the plant on a short and thick stem became much easier for vaccinations, began to grow more powerful and now produce fruit that is larger by 10-15% than when using lagenaria as rootstock. In addition, when landing, the residents planted watermelons so that plants do not grow crowded and their leaves were completely open to sunlight until the harvest – this allows you to cultivate a large, beautiful and delicious berries. In Krasnodar Krai watermelons growing in normal environmental conditions, usually ripen in early August if the summer is good, but the harvest is not added chemicals that accelerate the growth of berries. However, there are extra-early varieties of watermelons, which ripen earlier than other varieties and are ready for use at the end of June. Compared to fruits and vegetables, watermelon contains much more variety of nutrients. There are also Krasnodar varieties mid-season watermelons Mature in July. However, many fans of this fruit claim that the acquisition of early varieties it is advisable to refrain, having until mid-August. The fact that these watermelons are rarely sweet and does not have full taste full of ripe fruit. Due to the purity of the Krasnodar watermelons from chemicals, can be safely eaten to stimulate the metabolic processes in the liver, improve the composition of bile, preventing the formation of stones in the gallbladder, its ducts, and kidney. 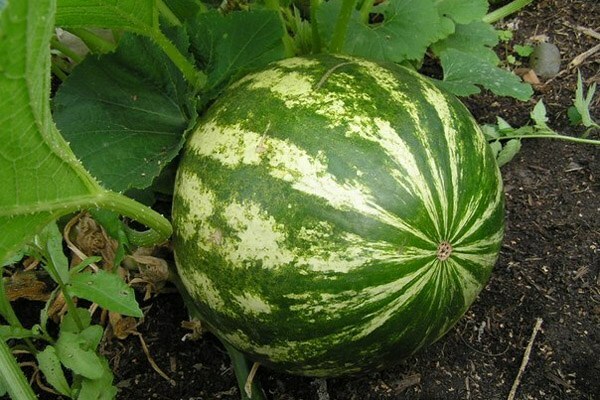 In addition, Krasnodar watermelons is extremely useful in case of cholecystitis, chronic hepatitis, problems with the withdrawal of bile and many other diseases.